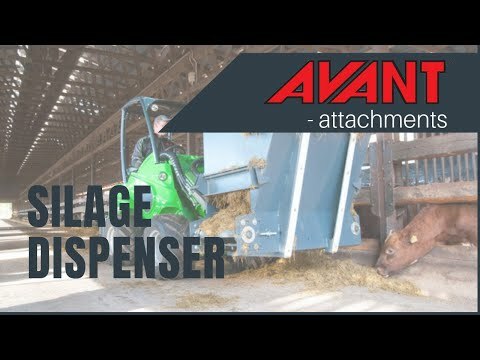 Silage Dispenser - Reach It! - Move It! - Crush It! This dispenser bucket is equipped with hydraulically driven elevator in the bottom and discharging to both right and left side. Especially recommended for precision chopped silage and feeding stuffs madewith feed mixers. The dispenser bucket can be filled like a normal bucket directly from floor level. Distributes silage to about 10 cows / fill – it takes approx. 10 minutes to distribute silage to 50 cows.